In this season of love, a love triangle might be the last thing on your mind…but this is a new kind of love triangle. 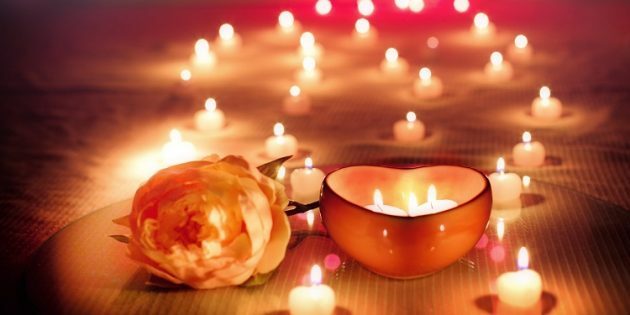 Do you find yourself hoping for a more loving, fulfilling relationship? Do you get your hopes up for fun days and romantic evenings, only to fall into old patterns and fight sequences? Do you find yourself feeling triggered by others’ behaviors or experiencing the same old relationship disappointment? These are patterns that spring up from long-held thoughts, beliefs and philosophies that develop from “truths” shared by family, school, religion and society. These patterns can have the power to sabotage our relationships…if we let them. If you see negative patterns emerge in relationship after relationship (or in the same relationship time after time), it can be tempting to blame your partner for the things that are triggering you. When in fact, if you find yourself flying off the handle, there could be something inside you that’s being irritated for the purpose of being resolved. The things that bother us most about the ones we’re with are often the things that are subconsciously bothering us about ourselves. And they keep coming to the surface because they’re virtually screaming for attention. In order to further explain and resolve the projecting that may be hurting your romantic relationship, we’ll reference a love triangle model by my friend Melody Brooke. Rescuer: If you feel powerless and shameful at your core, you might want to swoop in and save others…even when they don’t need saving. This can create a false sense of power and a sense of being in control. It might make you feel good about yourself, even though it’s not solving what’s at the heart of the pattern. When you rescue others unnecessarily, you’re not allowing them to experience things for themselves; you’re not honoring or respecting their autonomy. You’re only trying to make yourself feel better—and it’s a short-lived bandage for what’s really going on inside. Self-Protector: If you find yourself trying to avoid being a Victim, you might respond in one of two ways. You may attack, intimidate, belittle or fight before others have the chance to attack you. Or, you might withdraw, isolate, or shut yourself off physically or emotionally in order to avoid what you perceive as pain. You’re not protecting yourself, only protecting the long-held beliefs that are causing your pain. Victim: Often, people who feel like victims harbor intense self-hatred, guilt, shame or self-criticism. They can feel stuck and helpless, or fully dependent on other people or situations. If you feel this way, you might end up hating all the things that are holding you where you’re at, without seeing a way out. And so, you can assume the role of Victim, in which you feel like you’re always the one being hurt. 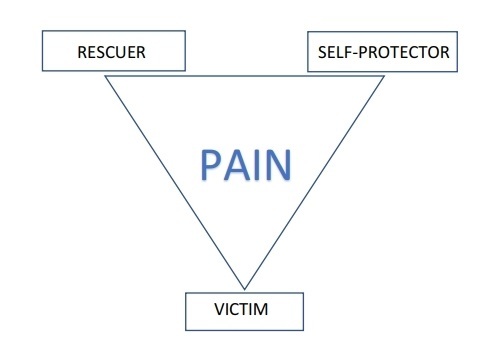 When you’re operating from an ego-centric place of pain, you can focus on one of these roles or jump from one to the other, depending on what’s triggering you, or what wounds within yourself you’re projecting on others. If you can identify with any of these behaviors, there is a way to change that pain to joy. There is a way to make the shift to compassion. And there is a way to enjoy a fulfilling, mutually respectful and loving relationship. You must choose to move out of that pain cycle and into a new model. 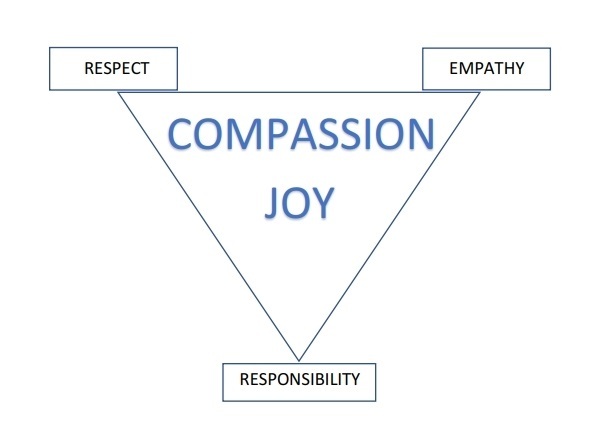 When you take ownership of your feelings and recognize why your lover’s behavior is bothering you, you can act from a place of compassion and experience joy every day, as illustrated by this compassionate love triangle model. Respect: When you respect your partner’s boundaries and allow them to think for themselves, without swooping in and rescuing them when they’re perfectly capable of handling the situation on their own, you are showing them Respect. And in turn, you’re showing respect for yourself. Each person has boundaries. Each person is autonomous within the relationship. And all the places where you come together will be richer, more fulfilling and satisfying. Empathy: When you communicate from a place of empathy, you’re committed to responding to your partner, rather than reacting. If you feel as if you’re being attacked, understand that it’s the other person’s pain, not your actions, that have triggered them. Listen; ask your partner to talk about their pain…all the time knowing their pain belongs to them. You are not required to assume that pain or to react to it—only to empathize with what they might be feeling. Responsibility: Instead of blaming and shaming others, or making excuses for our own behavior, we should be taking ownership of our own feelings and how they manifest in our communications. In relationships, you might take too much responsibility, or you might take too little. Either extreme will manifest itself. When you’re triggered, ask yourself why that action or that statement bothers you; and instead of laying the blame on your partner, understand and have patience with yourself and how you’ve been conditioned to react. Remember that Responsibility is your Ability to Respond (not react). Trust who you are. Show up with integrity and ownership. Do not project your pain onto others, but acknowledge your role. When you make the shift from triggering and projecting to owning and empathizing, your relationship will, by default, feel enriched and enlightened. But how to make that shift? You’re going to need a Pattern Interrupt. Can you remember being in a mutual laughing fit with your partner? Where you were both crying tears of joy and clinging to each other for stability because your happiness overtook your bodies, minds and spirits? Settle on a word or phrase that conjures memories of something hilarious. Then, the next time you’re together and one of you is triggered, or when tensions begin to rise, call out that word or phrase. Feel the pressure release and walk away. Take ten deep breaths. Then, come back together. Whomever called out the Pattern Interrupt word or phrase gets to talk first, and be heard without interruption by the other. Then the partner gets to speak without being interrupted. Communicate with phrases that start with, “I feel like…,” “For me the truth is…,” “It seems like you’re really upset right now…,” or, “I can only imagine how you feel…” This will diffuse the situation so you can both make a smooth transition to communicating through compassion. Love is powerful, and is always the answer for satisfying the highest good of everyone involved…in any circumstance. However, we also need tools and methods for interrupting patterns we’ve learned in the name of love. We need those tools in order to break through our own limiting beliefs and to create new joyful evidence that proves relationships can be rooted in compassion, rather than in pain. If you find yourself wishing for more fulfilment in all types of relationships—with your parents, children, friends, employees, co-workers, love partner and more—then come play with us in the Conscious Leadership Academy, where members have FREE access to Essence of Relationships.